Electronic body music pioneers Nitzer Ebb are releasing a career-spanning retrospective box set. 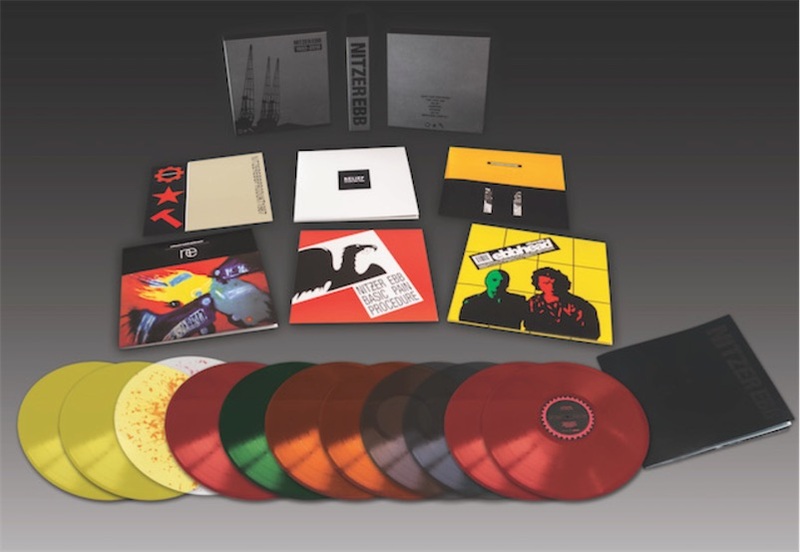 From Pylon Records, "Nitzer Ebb: 1982-2010" features 10 LPs with all five of the band's Geffen/Mute albums along with bonus tracks and 12" club mixes. Below, the "Join in the Chant (Burn!)" 12" mix. Lies, lies, lies, lies. Gold, gold, gold, gold. Guns, guns, guns, guns. Fire, fire, fire, UH!